A team of architects will transform a 1.25-mile stretch of Asbury Park in New Jersey as part of a massive mixed-use redevelopment plan recently unveiled by iStar. The multibillion-dollar scheme includes 20 individual projects (primarily a mix of residential buildings and hotels) as well as infrastructure upgrades, and “beach-themed landscaping.” The developer says that its significant investment in the area, which was pummeled by Hurricane Sandy, will “nurture the maverick spirit and indie attitude that make Asbury Park one of the unsung capitals of cool in the United States.” Anda Andre, the former Director of Design for the Ian Schrager Company, is overseeing the project and hand-picking its designers and architects. 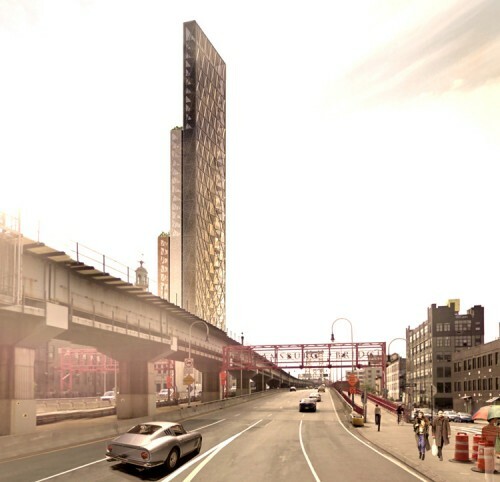 The team includes Chad Oppenheim, Handel Architects, Madison Cox, Stonehill & Taylor, and Melillo + Bauer Associates. Three new developments are expected to to open next summer: “The Monroe,” Oppenheim’s 34-unit condominium building; 1101 Ocean, a glassy hotel, condominium, and retail project by Handel Architects; and the Asbury, a 110-key hotel in a former Salvation Army building that was repurposed by Stonehill & Taylor. The full build out of the development includes 2,100 residences and 300 hotel rooms. 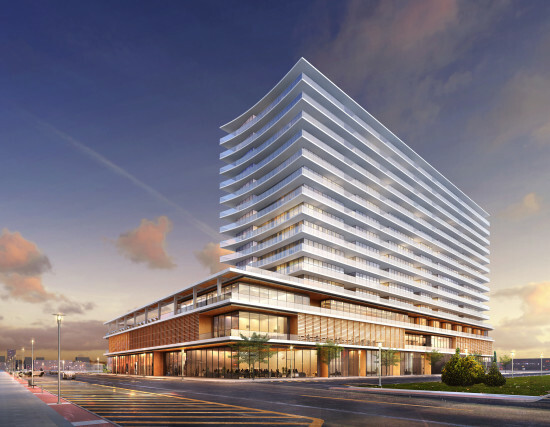 Asked about the pros and cons of practicing architecture in South Florida, Miami-based Oppenheim Architecture + Design principal and lead designer Chad Oppenheim said, "It's always wonderful to design buildings in a beautiful environment such as Miami." He mentioned specifically the city's connection to nature, and the extent to which the surrounding water, sky, and vegetation provide inspiration. "I think that people come to Miami to enhance their lives, and as a firm it's always been our mission to design buildings and homes to help people achieve just that." But while the landscape and the spirit of the people inhabiting it act as positive stimuli, other regional characteristics are cause for concern. "Typically, I find that Miami is a place where it is expensive to build for what you get," observed Oppenheim, who will deliver the afternoon keynote at September's Facades+ Miami conference. "There is a quality issue that is hard to work around in Miami." The challenge is especially apparent when he compares his South Florida experience to his firm's Switzerland office. "While the building and construction costs may be the same price [in Europe], the quality is a lot better. There's a tremendous passion for craft and quality there that somehow is not necessarily a mission for people here in Miami." At the same time, Oppenheim is heartened by the recent arrival of international design talent on the local architecture scene. "In terms of improvement, as the city becomes more sophisticated and more mature, there's a greater desire for incredible architecture, amazing buildings, and quality projects," he said. As for Oppenheim Architecture + Design's approach to facades, explained Oppenheim, "It's not just about decoration, but how the building's skin can accomplish a goal." In particular, he noted the way in which an overdependence on air conditioning manifests in a one-size-fits-all relationship to the surrounding elements. "We believe that there might be a way to get more connected to the environment, and also do it in a way that's interesting architecturally." Oppenheim cited his firm's recently-completed Net Metropolis in Manila. "The facade includes a combination of sun shading and a high performance insulated glass window wall that minimizes incident solar heat gain and optimizes natural light, while giving occupants a panoramic view of the surrounding city," he said. The green envelope cuts down on the cost and energy consumption associated with air conditioning. "It's a way of dealing with design for the elements, doing it in a more low-tech way," concluded Oppenheim. Connecting the Philippines example back to his home city, he said, "We see a lot of buildings in Miami from before air conditioning was so prevalent featuring screens that become part of the architecture. It's really nice to see those kinds of things and how beautiful and appropriate they are to the climate." 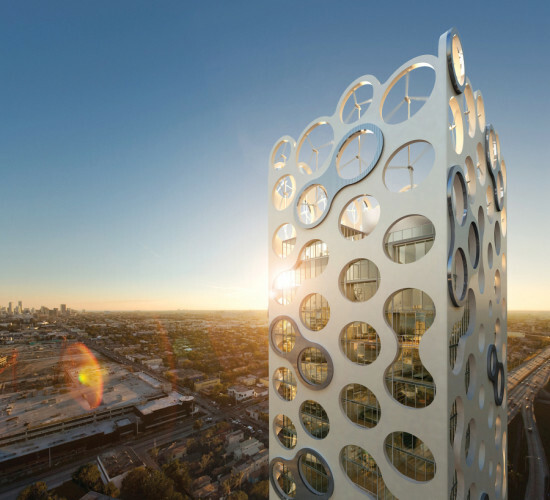 To meet Oppenheim and hear more about his take on high performance building envelopes, register for Facades+ Miami today. See a list of symposium speakers and exclusive field trip options on the conference website. AN has an exclusive look at a new home in Golden Beach, Florida designed by Chad Oppenheim of Oppenheim Architecture + Design. If we’re being honest here, the 23,000-square-foot home is really more of a resort masquerading as a private residence. Or maybe it's a private residence masquerading as a resort. Either way, the home is massive and packed with amenities. First, 699 Ocean Boulevard has a 5,000-square-foot spa that is twice the size of the average new home built in America. Inside the mansion-sized home spa is a steam room, sauna, arctic room (what? ), treatment baths, and a sunken hammam room. 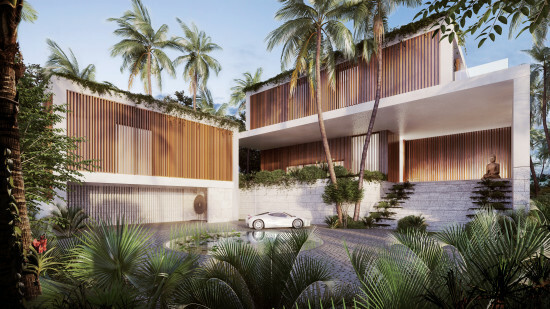 There’s also a “spa pool with jets” and a “lap pool with a waterfall.” The very, very large home is comprised of stacked concrete volumes that are visually softened by overgrown vegetation and moveable vertical wood slats that act as a shading system. Massive window panes and openings connect the interior and exterior spaces giving the entire place a very open and airy feel. To complete the natural feel, Oppenheim plants a tall “living wall” of local and exotic flora in the main entryway. If at any point, this home—with its en-suite eight bedrooms—starts to feel a little cramped, there is always the 700-square-foot guest house next door. For the record, that guest is house is 200 square feet smaller than the home's main kitchen. “We worked really hard to make sure this home will enhance every aspect of your life–from pulling into this incredible garage to sitting on a second story terrace or a roof garden and opening the windows that retract automatically into the walls, really helping one connect viscerally to the place,” said Oppenheim in a promotional video for the home. The home is listed at $36 million so booking a few nights at a resort probably makes more sense. Looks like you're going to have to share the hammam room. Youth Space. Pharell Williams speaks to Wallpaper* about his plans for a new youth center in partnership with architect Chad Oppenheim. Both Keihl's and Williams' charity From One Hand to Another will support the creative vision in raising funds for the Virginia Beach project. 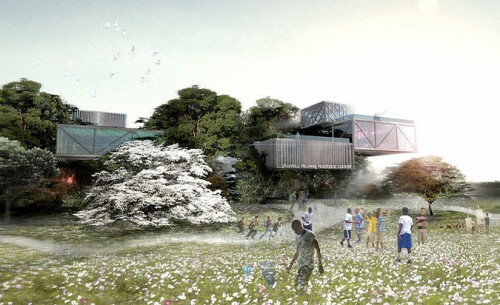 The design draws conceptually from the construction of a treehouse with plans to be a uniquely green project and a safe place for children to learn and grow. Telly Transformations. Caroline Quentin presents a new BBC Two series entitled Restoration Home, a program that follows renovation of old buildings as they transform into sleek homes. Look forward to documentation of behind the scenes "nostalgia, architecture, and murder" as Olly Grant of the Telegraph details. Bad Air. If riding with speeding traffic weren't enough to worry about when cycling through the city, Scientific American reports on just how dirty street air really is from car and truck exhaust. In short, city air is a toxic cocktail of pollution that can pose a heart risk to urban cyclists. Time to clean up our streets? Chelsea Touch-ups. The new owner of Hotel Chelsea, Joseph Chetrit, hired architect Gene Kaufman to work on plans for expansion and renovation of the historic New York property according to the Wall Street Journal. Residents have little to worry about, though, as the hotel is a registered landmark which brings extra oversight. That being said, as the project begins, expect significant upgrades to the lobby and infrastructural repairs along with a potential additional restaurant.